Over half the marking of a usual Creative Grids quilting ruler have been removed, making it easier to read. 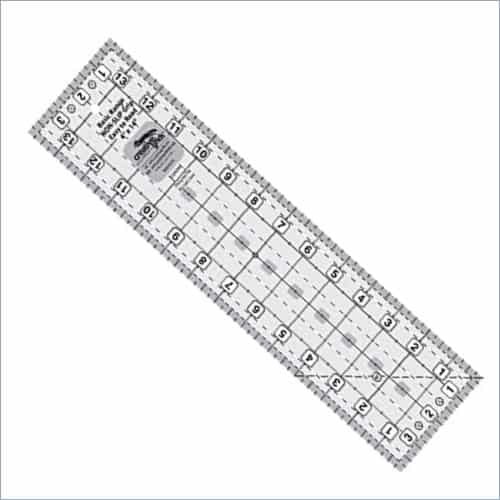 Truly measures 4 inch x 14 inch with 1/4 inch, 1/2 inch, and 1 inch markings printed with a whole inch grid. Printed correctly for left handed people. Exclusive grip which slides easily on the fabric but stays in place when pressure is applied; no missed cuts.